When one woman reserved a tour of the Everglades by airboat for herself and her girlfriends, she was hoping to create fun memories to top off an exciting girls’ weekend together. Never in her wildest dreams could she have imagined what actually occurred. Several minutes into the ride, the airboat collided into another boat ferried by the same company. The woman’s face smashed into a metal railing while she watched her friend as she was catapulted out of the boat into the other boat, crashing onto a female passenger there. The three women were three of 25 passengers requiring hospitalization. More than half of those were in serious condition. Who would have thought that an Everglades exploration could turn out so badly? If you’ve had a similar experience, a local personal injury attorney may be able to help. 5 individuals were thrown from airboats and drowned. There is no age restriction for pilots. 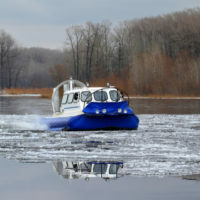 Because of limited regulation, airboat drivers tend to lack the training and knowledge necessary to provide safety for themselves and their passengers. Nearly two-thirds of accidents are a result of driver errors, resulting in infractions including improper lookout, violating navigational rules, and even driving while imbibing in alcohol. Furthermore, despite 40 percent of injured passengers being propelled from their seats into the water, 9 out of 10 passengers do not wear life jackets. This, despite the fact that 30 percent of passengers report being unable to swim. Another problem resulting in accidents is boat-racing. Boat owners have outfitted their boats with powerful motors, allowing their rigs to travel as fast as 135 miles per hour. Accidents have been the predictable result. When you enlist the services of an airboat driver, they are expected to exercise due care. If you or a loved one have experienced serious injuries or death as a result of an airboat accident, you may be entitled to damages. Contact the Law Offices of Robert W. Elton in Daytona & Ormond Beach for a free, confidential consultation today.